I always respect anyone who is serving in the military. I have always respected and admired veterans who served in the armed forces and the sacrifices that they made to ensure our way of life here in the United States. As a history buff, I also value the place in our past that is reserved for veterans who made the ultimate sacrifice or those whose actions merited historical significance. There are many of these stories in our history and I wanted my son Jack to be aware that there was one of these stories right within his own family. One day, a few years back, there was an event at the Allegheny County Airport here in Pittsburgh where one could actually view and tour a B-24 bomber from World War II. My son and I stopped to pick up my Uncle Jack and when my son introduced himself and said, ” Hello, I am Jack McCloskey,” my Uncle responded ” No you are not, I’m Jack McCloskey.” My son giggled as we asked Uncle Jack or “Handsome Jack” as he liked to call himself how he was doing? He replied in his usual comical way,” First class, first class, at least that’s what the girls all say.” My son Jack giggled and off we went to the airport. When we arrived, my Uncle, who was in his 80’s, jumped up into the cockpit of the aircraft like he owned the plane. 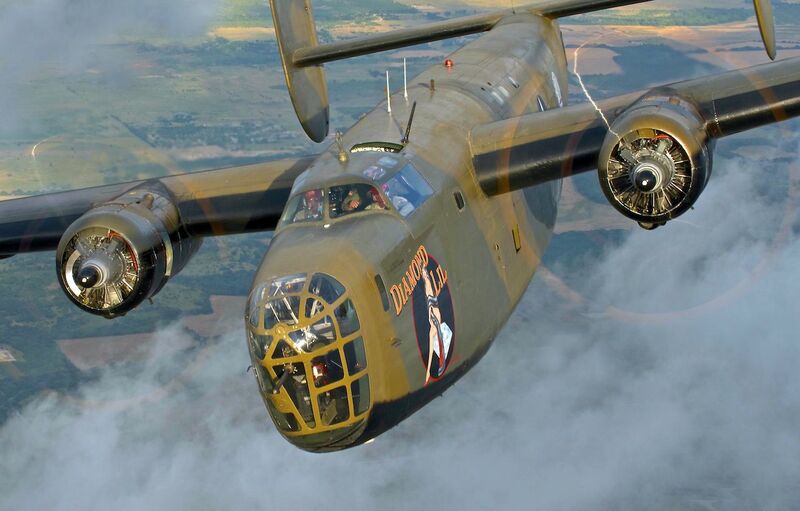 I asked Jack to keep an eye on him and don’t let him fall, but young Jack had a hard time keeping up the the old fella as he made his way through the plane explaining to everyone who would want to listen about the features of a B-24 bomber used in the Great War. You see, my uncle was the pilot of one of those planes and this is his story. After flight school in the Army Air Corps, Handsome Jack became a pilot of a B-24 that provided support to the ground invasion of Italy during the Anzio Beach campaign. I can remember my uncle relating the tale of his 52 missions over the area returning to base every night with extensive flak damage to the fuselage caused by anti-aircraft gunners of the German Army. Imagine a young guy, I believe around 21 years old, being shot at every day and limping back to base awaiting repair of the aircraft only to fly out again the next day on another bombing mission. When I was 21, I was looking for my next cheeseburger. Times were different then and boys became men in a real hurry. Shortly after his 52nd mission, Handsome Jack was sent to his first mission in Rangoon, Burma and took Japanese anti aircraft fire and the plane was in peril. 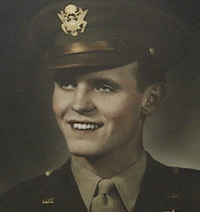 He assembled the crew and told them to prepare for bailout and as they all parachuted out of the burning craft, the B-24 hit the trees and exploded. My Uncle and his crew landed in the tall trees of the Burmese forest and made their way down to the base of the trees with my uncle breaking his back and his ankle. The Japanese were there waiting for them and immediately took them prisoner. The long and the short of it was that my uncle spent a year as a prisoner of war, keeping the crew’s spirit in tact by singing Irish songs and Christmas songs with his beautiful Irish tenor voice only to personally and eventually bury all of his crew. The British eventually bombed the camp and as my uncle fled for his life, waiving at the RAF frantically, they realized he was one of the prisoners and rescued him after a year in excruciating conditions of captivity. He made his way back to Bellevue, Pa., his home, much to the delight of my grandparents, my dad, and my aunts, who had given him up for dead. What a homecoming he had consuming a dozen eggs as his first meal back home with his family. Handsome Jack received the Distinguished Flying Cross and the Purple Heart for his heroism under the most grueling conditions. His positive attitude kept him alive not only during his Anzio campaign, but in the bowels of a Japanese POW camp in a remote part of the jungle. As young Jack led Handsome Jack around the restored aircraft that day, I couldn’t help to think to myself that my son was witnessing history in the making. My uncle was in my mind, a real American hero. I was so glad that my son had the opportunity to meet my hero as his kind are leaving us rapidly these days with each passing year. My Uncle is no longer with us, but his memory is kept alive with every Irish song I hear and every tale I read about the bravery of our veterans in World War II. If you see anyone who has served in the military, take the time to thank them for their service.They will appreciate it. Thanks for reading. This entry was posted in Aging, American Culture, American History, Inspiration, Motivation, Pittsburgh, Veterans, World War II and tagged Anzio Beach, B-24 Bomber, Italy, World War II. Pat: You’ve written about many subjects over the years, but this one really takes the cake. What a great tribute to your brave, courageous and heroic Uncle Jack! And what a wonderful, humbling and important experience/memory/lesson it is for young Jack to have toured the great B-52 bomber with a true American hero who doubled as his great uncle. We all owe a huge and unpayable debt of gratitude to the men (and women) who served, and continue to serve, our country. Kudos to you for providing an important reminder of the price guys like Uncle Jack paid for the many freedoms we enjoy and (unfortunately) too often take for granted. I wish I could have met your uncle. Thank you for this tribute to him and all those who served. We are so fortunate that so many people answered the call to serve and gave so much. The next time I have a hard day I will think of him and realize how easy it is compared to his. Pat, in my humble opinion, this is your finest post ever. One small correction…..you mentioned “his kind are leaving us rapidly with each passing year”. Sadly, very sadly, for many years the numbers been way down with with each passing year because most of these great men have already gone. 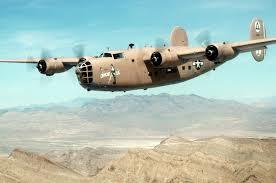 Saw one flying out of Cape May airport this past weekend, along with a B-17. We marveled as the seemed to levitate along the beach up to Sea Isle, banked, then along the bay back south. It seems they offer two days worth of air rides, every Labor Day weekend. Your blog about summer/gap-year life experiences also hit home. Worked Avalon’s beach for four years, living in a boarding house for a couple of them. All my chair-mates were terrific, bright guys who all went onto successful careers – (which I can’t say happened to all those clowns). Thanks for sharing Pat. This touches our hearts in so many ways. Spending time with a veteran such as your uncle is the best history lesson the youngsters today will ever get. It’s not skewed or presented with a swing left or right, it is what it is…patriotism at it’s best! “Shake hands with your Uncle Jack me boy” I remember him and quite an entertainer too. That voice has been handed down to you, now I get it. Wonderful story Pat, and glad young Jack got to experience that. Pat, God bless your Uncle Jack and all his fellow veterans of the greatest generation. We can only hope that the younger generations learn from their dedication and sacrifices. Thanks so much for the âheads upâ â¦..you tell Jackâs story beautifully. Thanks so muchâ¦â¦and keep up the good work! Best to you and Janet! What a super article. The story is very inspiring. Love it. It reminds me a bit of Lynne Hartnett’s father’s story. Being shot down and being POW in Germany.